My parents always wanted to go abroad for vacation. So I put that on my things to do, before I die... list. Summer of 2008 that dream came true. 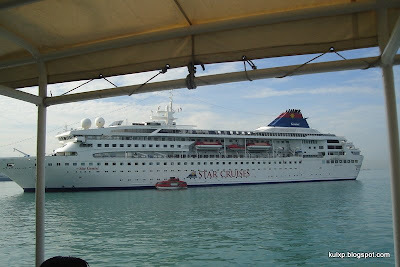 I had booked my parents to go on a Cruise Tour from Singapore to Malaysia to Thailand. The best thing about this tour was that they got to hear Bhagavad Gita through out the tour on the cruise itself. What better vacation they could have? 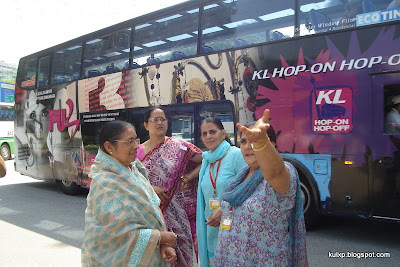 Mom (right), with my aunts in Kaula Lumpur, Malaysia. 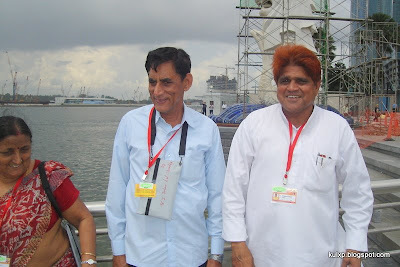 Dad (right) with Uncle and aunty in Singapore at the Merlion. 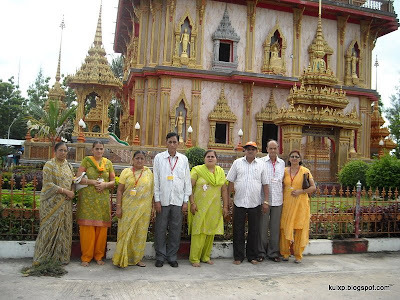 Mom and Dad with my uncles and aunts in Phuket, Thailand. No matter what you says, a picture says more. Guess which one is me!! !